See scheduled Holy Week processions 2019 here! HOLY WEEK PROCESSIONS 2019 – Traditionally, there are these solemn processions held every Holy Wednesday, the fourth day of the Holy Week. Traditional processions are held in several towns and cities across the country as the Catholics observe the Holy Week. Procession is where devotees walk along the life-size images of religious icons. 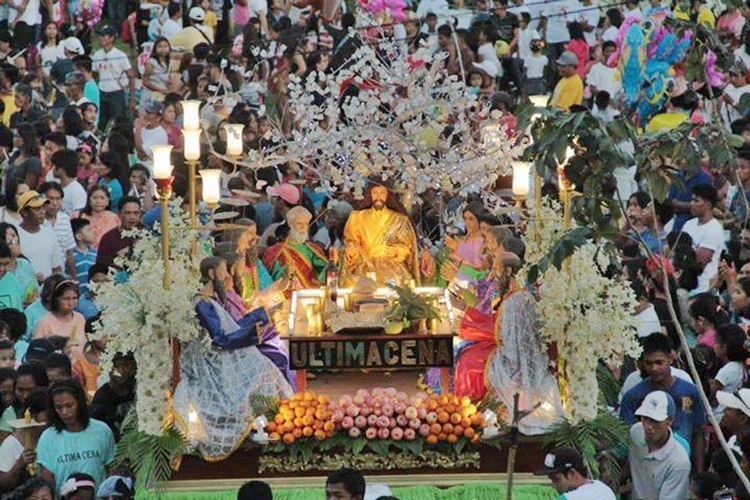 And in this fourth day of the Holy Week, the Holy Wednesday, the Santo Sepulcro (interred Christ) and images of passion of Christ will parade in the early evening in Pakil and Majayjay in Laguna; Betis, Sasmuan, and San Fernando in Pampanga; Meycauyan, and Malolos in Bulacan; San Mateo, Rizal; in Marinduque, in many parts of Quezon City and Pateros, and in San Pablo and Molo in Iloilo City. “Prusisyon ng mga Santo” will also be held in Baliuag, Bulacan, a popular event during the Holy Wednesday and Good Friday. After an early evening mass, a “Salubong” will also parade the streets of Paete, Laguna. It is the ritual bathing, observed in this town, of the centuries-old wooden image of the Santo Sepulcro at the Santiago de Apostol Parish Church based on Manila Bulletin.